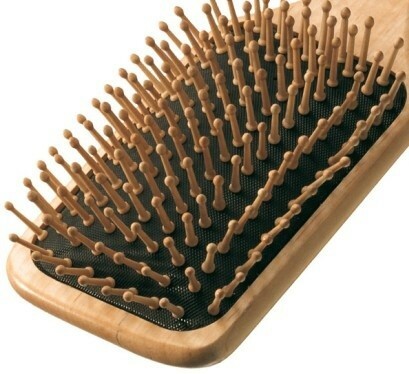 SPA wood Hairbrush Ecobell for fine and sensitive hair. The brushing with the wooden brushes Ecobell deletes the static electricity. Massage of the scalp. Stimulation of the blood circulation. Antistatic.